With an increase in reported injuries and deaths associated with the use of electricity, electrical safety is becoming a more prominent health and safety topic in industry. 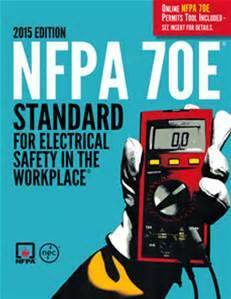 Canada’s newest electrical standard, the CSA Z462, outlines the requirement for safeguarding workers from electrical hazards. Accordingly, this online course provides a well-rounded approach to the basics of electrical safety and helps increase understanding of the dangers of electricity from both a shock protection and arc flash protection point of view. ELECTRICAL SAFETY TEST: Testing conducted throughout this online Electrical Safety course is designed to reinforce the information presented. A mark of 80% must be achieved in order to receive a certificate of completion. Participants are able to repeat the course twice if the pass mark is not achieved. Supplemental materials necessary to complete this course can be accessed online. ELECTRICAL SAFETY ONLINE CERTIFICATE OF COMPLETION: Upon successful completion of this online course, a certificate of completion will be available for download and printing. CONTINUING EDUCATION CREDITS (CEU): This course qualifies for Continuing Education Credits from the Engineering Institute of Canada.